Arguably one of the most critical pieces of the patient record, the discharge summary directly impacts continuity of care, readmission risk, patient safety, and appropriate reimbursement. Yet, there typically is great variance in the quality, completeness, and timeliness of this vital piece of the medical record, with many discharge summaries missing crucial patient care information. While the need for high-quality discharge summaries is largely undisputed, traditional approaches to remedy the problem, such as physician education and queries to support clinical documentation improvement (CDI), have proven marginally effective at best. Meanwhile, technologies such as natural language understanding (NLU) offer a novel and effective way to sustainably improve the quality of discharge summaries in real time. A discharge summary is a physician-authored synopsis of a patient's hospital stay, from admission to release. It's a communication tool that helps clinicians outside the hospital understand what happened to the patient during hospitalization. A discharge summary can make the transition from hospital to home much safer and smoother for patients. Its importance has prompted the need for standardization and led to efforts by multiple institutions to develop templates for the creation of discharge summaries. • the attending physician's signature. To provide unique insights into the quality of typical discharge summaries, M*Modal conducted an internal study of more than 8,200 discharge summaries processed by its proprietary NLU platform. These represent a random subset of the many thousands of discharge summaries that are routinely processed through this NLU platform. It is important to note that this is not a formal scientific study and the presented data make no claim to be representative of all discharge summaries. These data should not be used to draw any definitive conclusions but instead present insights into the type and frequency of deficiencies that may be seen in typical hospital discharge summaries. The intent is to understand the general scope of the challenge and explore remedial interventions. To validate the NLU technology findings, a small subset of the same discharge summaries was also reviewed manually. The manual reviews included scrutiny of all the sections analyzed by the NLU technology as well as the entire discharge summary. The results of the manual review fell within a 10% margin of error, validating both the results and the NLU technology itself. The manual reviews also provided further insights into how and where physicians document the different elements of the discharge, yielding a better understanding of documentation habits. • Thirty-four percent of discharge summaries lacked information on the reason for hospitalization. Sections analyzed included reason for admission, admitting diagnosis, chief complaint, indications, and diagnoses. The manual review of a sample set found that while the information on the reason for hospitalization was missing from the appropriate sections, it was often captured somewhere else in the document (eg, as part of the hospital course). 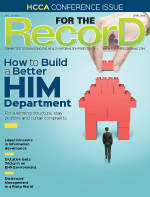 • Sixty-six percent of discharge summaries lacked information on the procedure performed. Sections analyzed included surgical history and procedure. The manual review revealed that, in most cases, procedures performed were listed as part of the hospital course. • Fifty-seven percent of discharge summaries lacked information on a follow-up care plan. Sections analyzed included follow-up and discharge instructions. The manual review found that follow-up information was often missing from the entire document. This may be attributed to physicians relying on the EHR's ability to automatically generate a follow-up plan based on the discharge diagnosis. This quick internal study using NLU technology and human validation demonstrates that a significant percentage of discharge summaries lack some of the mandated information. It also provides insight into how physicians tend to favor "natural language" over templated forms. One of the fundamental advantages of advanced NLU technology is its ability to contextually understand and analyze information across all sections of the discharge summary that may contain key information to accommodate the wide variance in how and where physicians document each of the mandated elements. The documentation burden on physicians is mounting as they try to make sense of the complex requirements related to CDI, ICD-10, and quality initiatives. This necessitates a fundamental change in how the most value can be derived from their documentation. Given M*Modal's analysis, it is evident why hospital attempts to address this issue by instituting discharge summary templates with mandatory fields in the EHR are not working well. Physicians dislike cumbersome and restrictive EHR templates, preferring instead the speed and expressivity of narrative documentation. Physician education is another path some hospitals take in an effort to improve the quality of discharge summaries. However, it can be a costly endeavor that is frequently ineffective and unsustainable. Given the strategic necessity of CDI programs, some providers utilize CDI specialists to query physicians on documentation gaps in the discharge summary, but this labor-intensive, retrospective process also frequently fails to yield the desired results. Clearly, traditional approaches used to solve the problem of incomplete discharge summaries are inadequate. NLU technology can be leveraged to provide new and effective ways of addressing deficiencies in the quality, accuracy, and timeliness of the discharge summary. When combined with front-end speech recognition software, NLU technology can help to improve the completeness of discharge summaries in real time. For example, it can analyze the discharge summary as the physician is dictating (or typing) and deliver real-time, automated feedback on missing components or inaccuracies. This validated, physician-centric approach supports clinicians in a nondisruptive manner within their normal workflow for long-term engagement and improvement. Such application of NLU technology is particularly useful to remind physicians in instances where they may be missing documentation for one of the mandated discharge summary elements throughout the document. The technology also allows physicians to document using natural language rather than forcing them to fit their narrative into preexisting templates. Furthermore, it's possible to automatically extract important pieces of clinical information from all of the electronic documents created during a patient's hospital stay into an encounter and/or patient summary. It can, therefore, serve as a framework for presenting key pieces of clinical information to the physician in a summarized manner at the time the discharge documentation is being created. This patient summary reminds the physician to include important events or results, thereby improving quality without compromising efficiency. Often the best information that primary care physicians have about their recently released patient is the discharge summary. Current advancements in NLU technology provide a real-time, sustainable, and standardized way to continuously improve the quality and completeness of discharge summaries to better support the inpatient-to-outpatient transition of care. — Gilan El Saadawi, MD, PhD, is director of medical informatics at M*Modal.